If you are in good health, visiting Disney World while pregnant is fun and easy. 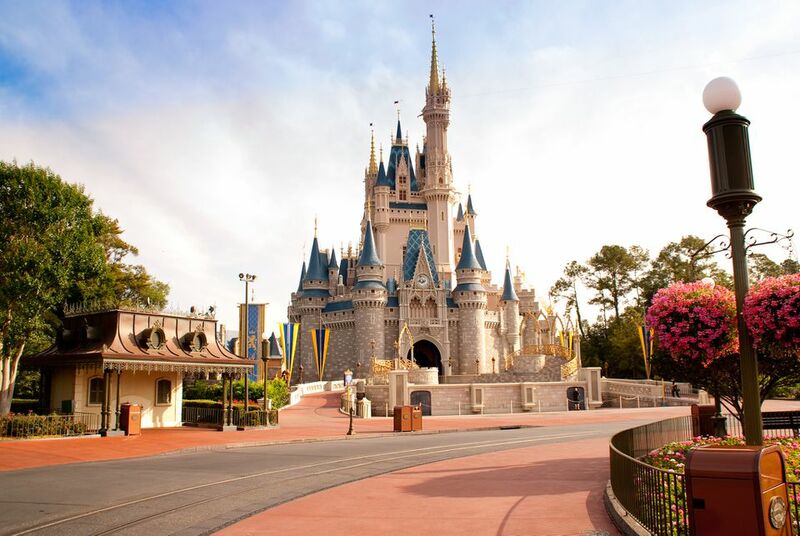 You can enjoy most of the Disney magic without restriction, and there are plenty of ways to stay occupied if other members of your family ride the bigger roller coasters. Visit during the off-season: The Florida heat will be brutal during the summer months, and most watery rides are off limits to pregnant riders. Visit Disney World in the fall, winter or early spring and take advantage of comfortable temperatures and low crowd levels. Have a check-up before you travel: Schedule your doctor's appointment for just before you leave; you'll feel better about your trip if you've recently seen the doctor and been confirmed healthy. Make sure you pack your doctors' contact info and their 24-hour call-in line number, just in case. While medical attention is available near Disney World, your own doctor can answer questions and give advice over the phone if needed. Follow the map: Each Disney World theme park map has keys that show you which rides have height restrictions. Most height restricted rides are also unsuitable for women in the second or third trimester. Use the map keys, and you'll avoid walking all the way across the Animal Kingdom before you discover that Dinosaur! is off limits. Stay deluxe: Consider staying at one of Disney's deluxe resorts if you are traveling while pregnant. You'll have access to more amenities, larger rooms, and on-site dining, so you can find everything you need without leaving your resort. Book a massage: Consider booking a pregnancy massage at the Grand Floridian Spa. Not only will you leave refreshed and ready to head back to the parks, but your travel companions can ride all the thrill rides they want to without guilt while you're being pampered. Bring a water container: Dehydration is the enemy — and with the extra walking and possible heat you'll experience in Disney World, having water on hand is a must. Bring your own bottle with a built-in filter, and you can fill up at any water fountain. While the Disney World water fountains are free and technically drinkable, the water doesn't taste very good. Bring a filter bottle to combat the taste and save money at the same time — buying bottled water can get expensive. Go for the Dining Plan: You'll enjoy every one of the food credits you get on this plan; use the snack credits to fill up on some of Disney's best snack offerings between meals. You'll love the variety and convenience of the Disney Dining Plan — and you won't have to worry about your budget when you order a meal or snack. Wait wisely: Use the time when other members of your party are riding thrill rides to catch a rest. Sit in the shade on a bench, have a quick snack or take a catnap without leaving the park. When the rest of your party is done riding, you'll be refreshed and ready to go. Shop for baby: Every theme park has a selection of collectible, wearable, and giftable baby items sure to please your little one when he or she arrives. Pick up something to commemorate baby's "first" Disney trip, like a onesie, small Mickey plush or fine art piece for baby's new room. Get a picture: Stop by one of the family portrait stations offered at the Disney deluxe resorts and get a photo of your family as is. When you return to Disney with your new little one; visit the same location and duplicate the portrait with your new addition.